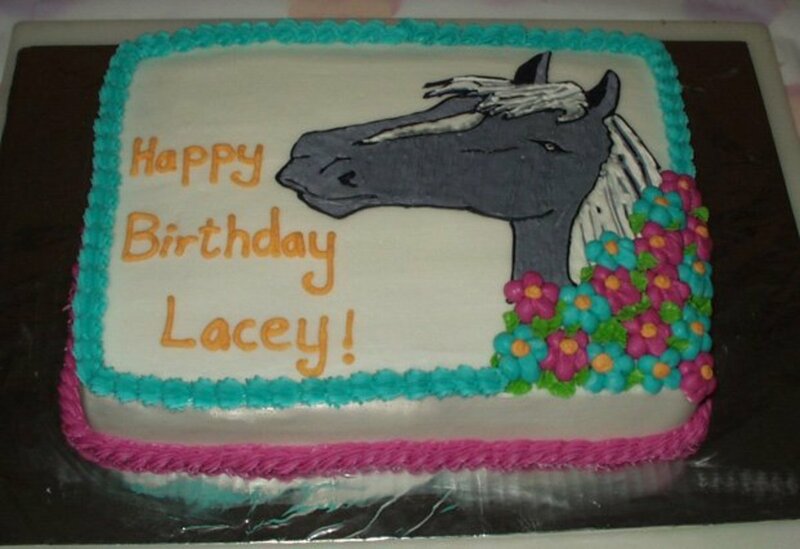 As a writer by trade and a cake designer on my off-time, I keep busy. I'm adding recipes in my hubs that will appear in an upcoming book. 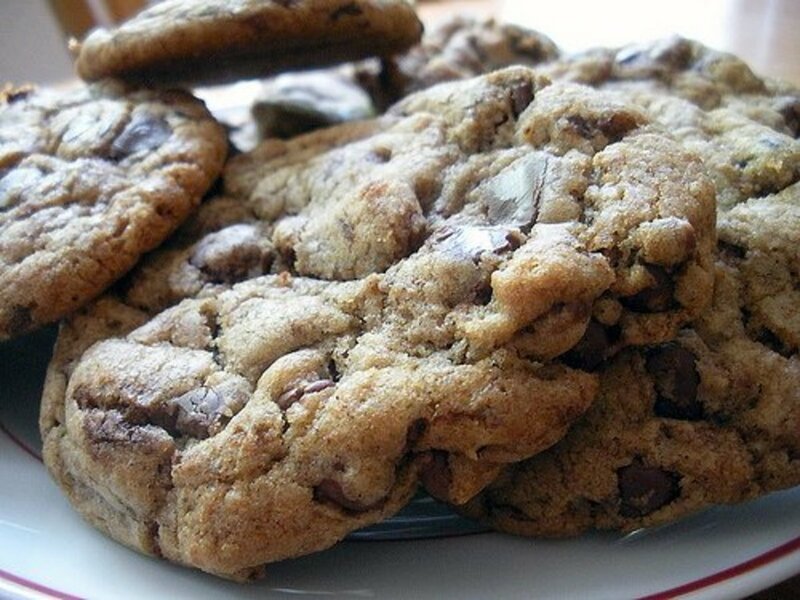 What is the Oregon Bakes Test Kitchen? Oregon Bakes is a title for a book that I am writing. My test kitchen has been operating for a few months, to design new cupcake recipes, all from scratch. 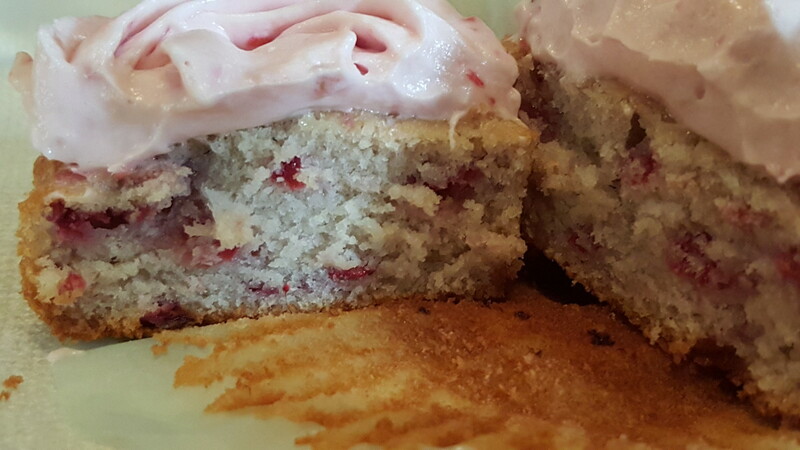 The recipe given here is based on a white cupcake recipe that has taken months to perfect. Adding in other ingredients plays a large part in the science of creating cupcakes, but the foundation has been perfected. 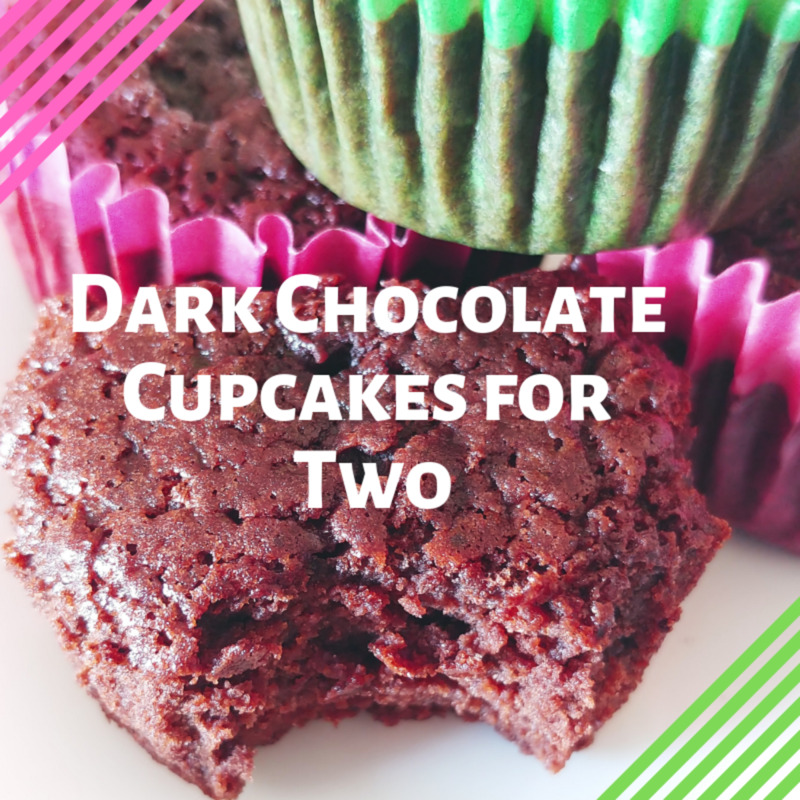 Once the cupcake recipe has been written, it is tested by a group of taste testers who taste them several times until the recipe is worthy to place in the book. Several taste testers (approximately 15 - 20 testers) judge the cupcakes on overall texture, texture of frosting, filling (if any), cake and any fruits, nuts or spices that are added. 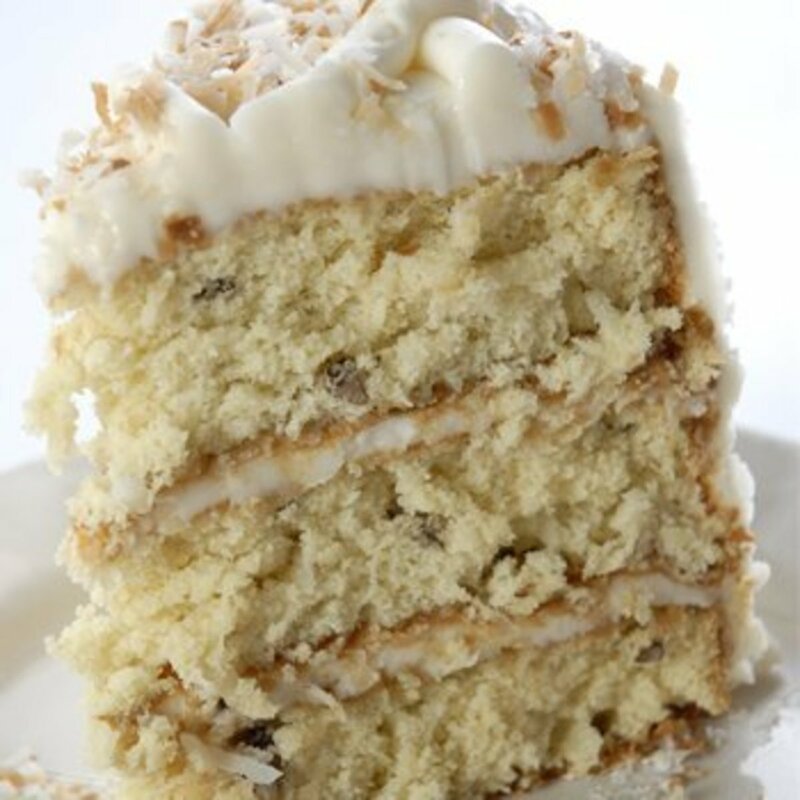 Flavor is judged by determining if the frosting, filling and cake have good flavor and then all three together. The recipe is pulled and reworked if there are complaints. 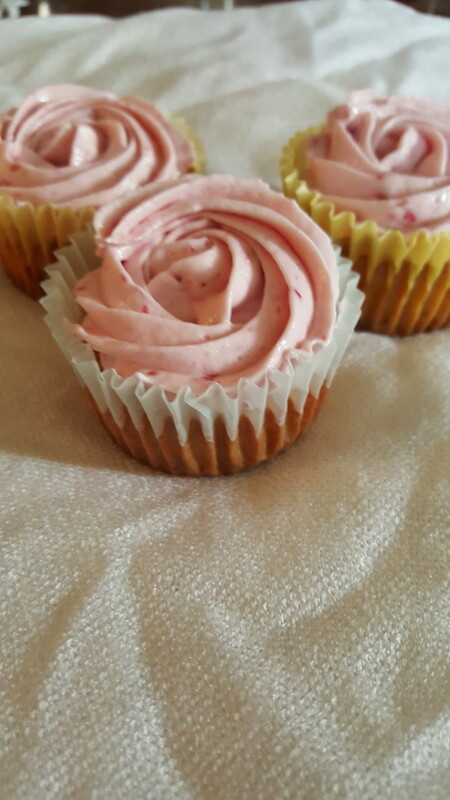 The lemon raspberry cupcake with raspberry cream cheese frosting passed the taste test with flying colors. I loved these flavors together too and this is why I chose to share the recipe. 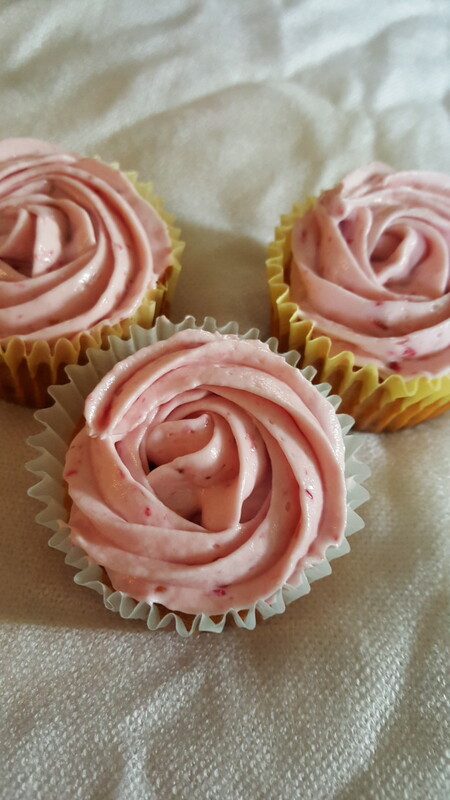 The lemon raspberry cupcake recipe will appear in the upcoming book, but I chose to share it here too. From my kitchen to yours, enjoy! 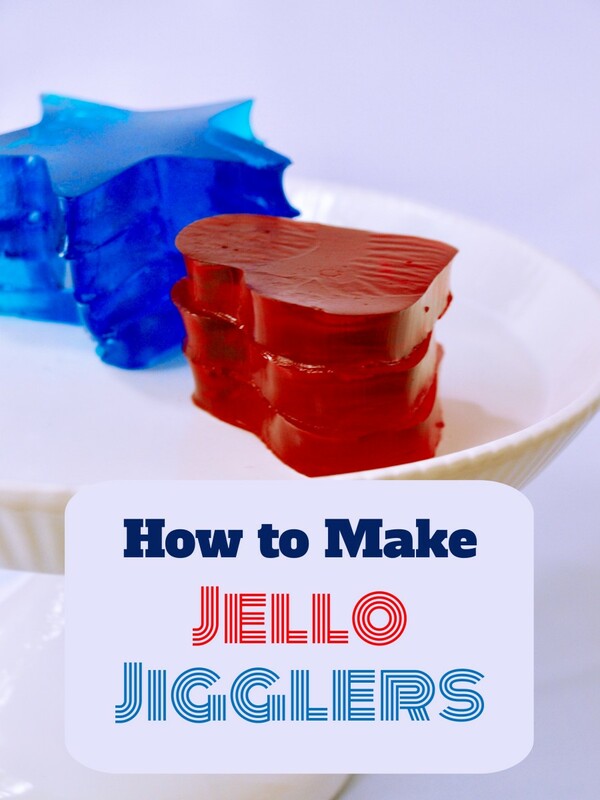 Have you made these? Rate them! The tartness of the lemon compliments both the sweet and tart blend of fresh raspberries. 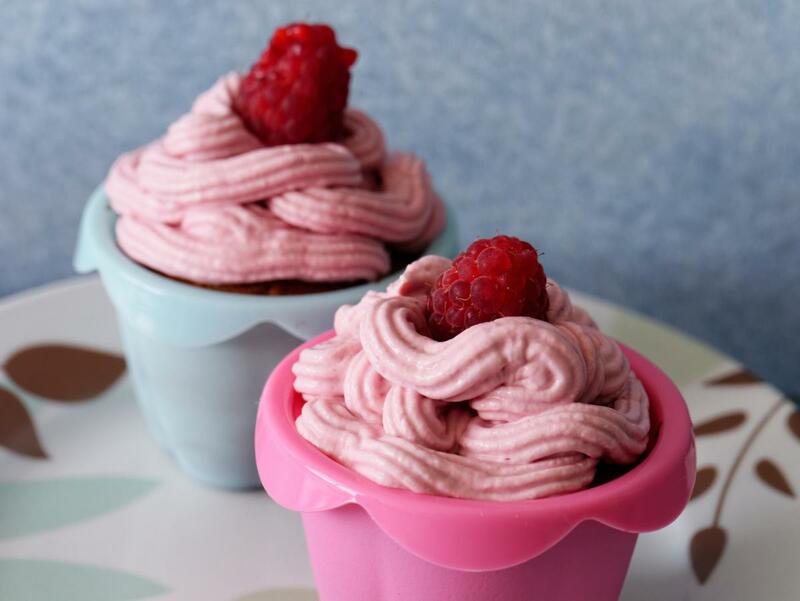 Top it off with a nice cream cheese based frosting with more fresh raspberries to complete the ensemble. Taste testers agreed that these were one of their favorite cupcakes to come from the Oregon Bakes design table. Walnuts can be added to give the cupcakes a nice crunch if desired, but were omitted in the original recipe. 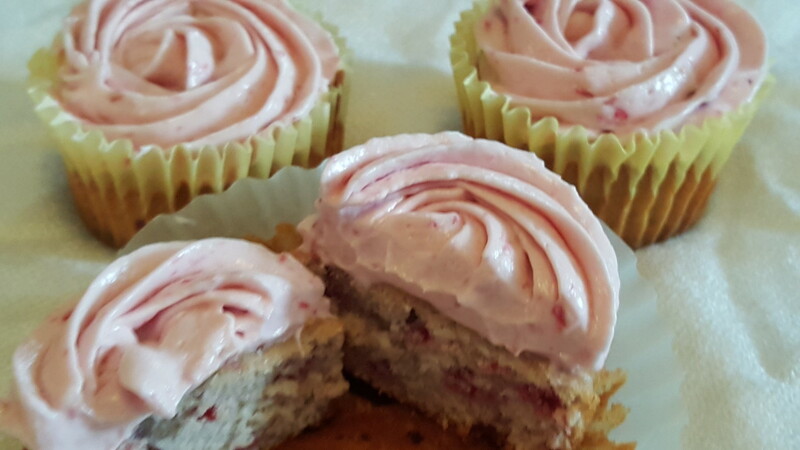 Note: The lemon raspberry cupcake recipe is tested with a smaller amount of batter placed into each cupcake liner. The cupcakes will rise higher than the cupcakes depicted in the photographs. 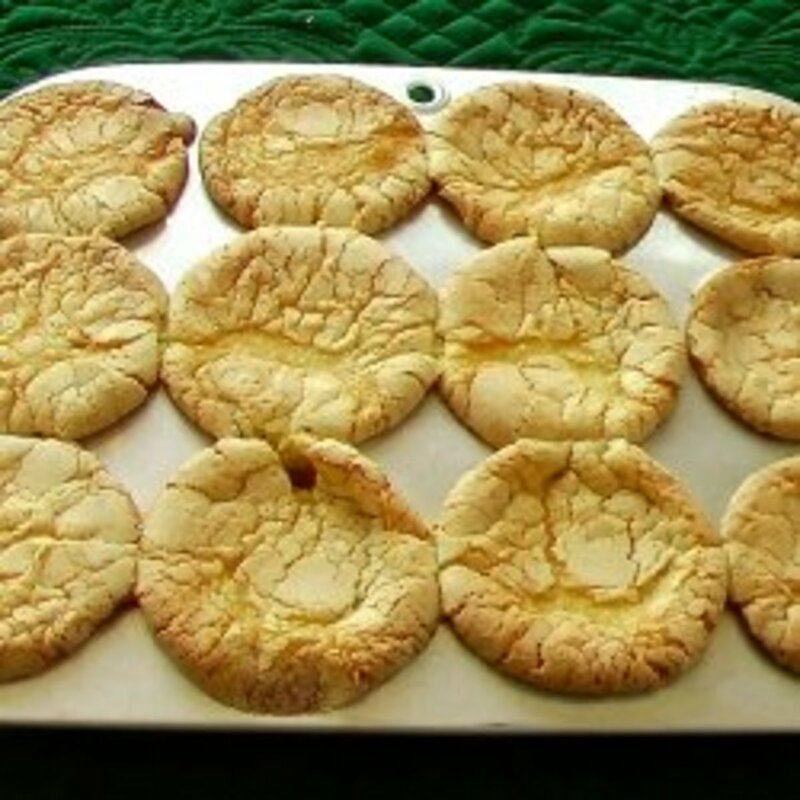 In a mixing bowl, cream together 1 stick of butter and sugar until sugar is mostly dissolved and color of mixture is lighter. Mix in the eggs. Whip until well blended. While wet ingredients are mixing, begin the mise en place (fancy French word for "putting in place") process of dry ingredients. Sift together flour, baking powder and baking soda. Set aside. Pour buttermilk into a bowl and set aside. When creaming process is complete, slowly add butter mixture to dry ingredients, alternate with buttermilk. Whisk all ingredients together. Grate fresh lemon for 1 teaspoon lemon zest. Cut lemon in half and squeeze or use juicer for 3 teaspoons of lemon juice. Mix well. Chop raspberries into fairly small pieces. Fold into batter. Fill cupcake liners 2/3 full. Bake cupcakes in 350 degree Fahrenheit oven for approximately 25 minutes or until cupcakes spring back when touched with fingertip. Remove cupcakes within a couple of minutes and place them on a cooling rack. While cupcakes are cooling, place 1/2 cup (1 stick) of butter into a mixing bowl. Add in the cream cheese and powdered sugar. Mix until very firm. Slowly add in milk or buttermilk until desired consistency is achieved. Cut raspberries into small pieces. Fold into the frosting. Once the cupcakes are completely cool, place frosting in decorating bag and pipe onto cupcakes. Keep cupcakes refrigerated. The basic white cupcake batter in this recipe can be used to create cupcakes of your own design. Omit the raspberries and use blueberries instead. A nice blueberry, cream cheese frosting would be an awesome combination and lemon-blueberry flavors work well together. Leave out any fruits and use the basic lemon recipe for a great lemon cupcake. Add a lemon buttercream frosting. 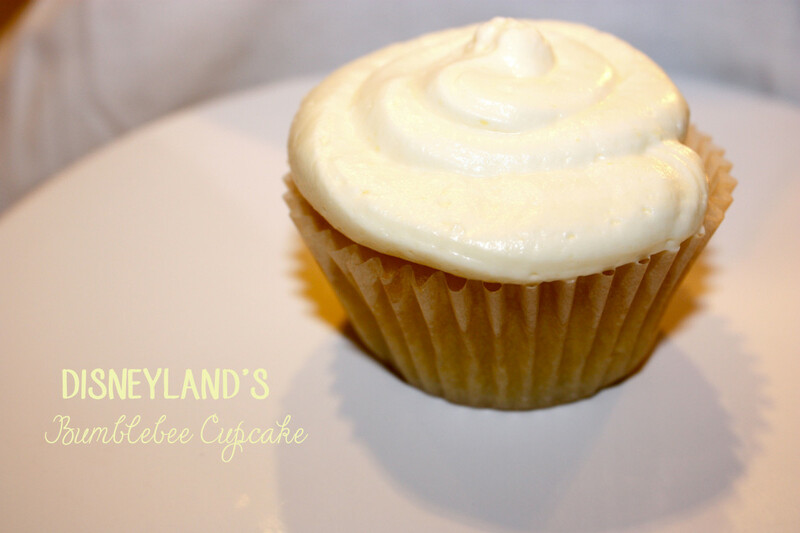 Fill the lemon cupcakes with a key lime filling for a great lemon-lime cupcake. Just remember that cupcakes taste a bit stronger when they cool. Lemon and lime are powerful fruits that boast bold flavors. Be careful how much zest or juice you add. This recipe calls for quite a bit of lemon juice and zest to give them that "punch". Citrus flavors are nice when they are fairly strong, but don't leave your guests with puckered lips or jaws that hurt. The basic white cake recipe can be used to make white cakes or cupcakes. Add a teaspoon or two of vanilla or use a vanilla bean to make up a batch of vanilla cupcakes. Use a vanilla buttercream frosting to keep it simple, yet elegant or use a champagne buttercream for cupcakes fit for a wedding. It's your kitchen and your canvas. Let your creativity flow! Well, thank you. Do you bake?